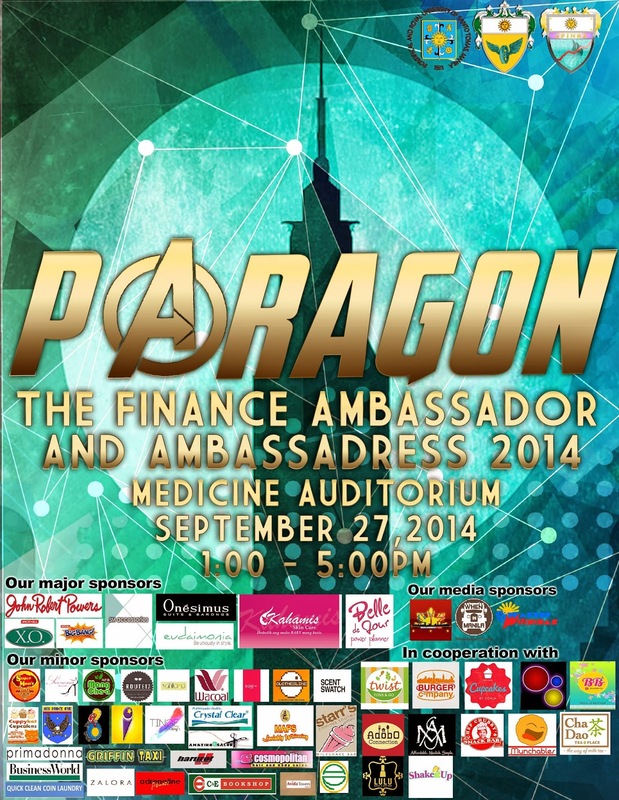 UST JFINEX, the official organization of Finance Majors, presents: "PARAGON: Finance Ambassador and Ambassadress 2014." Real-life superheroes do not come hand in hand with supernatural powers. Sometimes, they're just ordinary people with extraordinary willpower and abilities. WITNESS as your favorite superheroes FLY, DASH, TRANSFORM and GATHER on stage on September 27, 2014 at the UST Medicine Auditorium from 12:00nn - 5:00pm! PREPARE TO BE AMAZED, MESMERIZED & CAPTIVATED! Wazzup Pilipinas is a proud online media partner of PARAGON: Finance Ambassador and Ambassadress 2014.